Are you travelling to the major economic and global cultural centre? Yes, Sydney has turned out to be the major hub from a colonial outpost. If touring Australia, Sydney must be on your to-do list or you will be a part of the city due to education or work purpose, you must take a note of the things that are being included as part of the city’s sanitation program. The toilet seat covers Sydney offers a great number of benefits and are recently being included in every commercial premise. The paper toilet seat covers are fantastic for a range of reasons. It can be conveniently used in the restrooms and not feel dirty, seat cover dispenser in the bathroom can also be of immense help in restoring your peace of mind. These can be a great way to show hospitality to your guest. Buying toilet seat covers Sydney is not at all a challenging process. 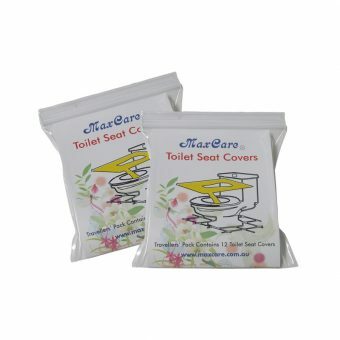 MaxCare toilet seat covers can be easily obtained by ordering online. We deliver all across the Australia to make it convenient for our customers. Whether you are at your workplace or in a school or restaurant, dining out with friends, the toilet seat covers keep you completely protected from the nasty feeling of using a toilet seat, used by several people, and also from germs and bacteria. The toilet seat covers can be creased and folded into a moderately small sized paper, which is smaller in size than the standard size of the envelope. It can be easily carried in your pocket or a pouch whenever you need it. Order yours online now, Australia wide Free delivery.